If you are considering setting up your own photography business, there are a number of practical factors that you should take into consideration. These elements, which might not appear immediately obvious, can make a significant difference to the running of your business – indeed, in the case of bookkeeping and accounting, they are a legal responsibility. Keeping accounts is not a particularly pleasant task. However, it is a necessity on a number of levels. In the first instance, unless your company will be incorporated, it is highly likely that you will be a self assessment taxpayer. As such, you will need to keep tabs on your income and expenditure with a view to completing your return each year. If your photography business is to be incorporated, the accounting responsibilities become even more onerous. You will have further responsibilities if you are an employer, as you may be required to make National Insurance Contributions on your employees’ behalf. On a more positive note, however, efficient bookkeeping and accounting can actually save you money; it will help you to keep track of any deductible expenses, which can ultimately be offset against your tax liability. The first step to keeping accurate accounts for your photography business is to acquire some efficient bookkeeping software. There are a number of suitable packages on the market, some of which are now Open Source and therefore free. While these may appear complex to begin with, a bit of investigation should demonstrate that they are no more difficult than keeping a paper ledger. Indeed, the purpose of these packages is to save time comparative to paper bookkeeping. 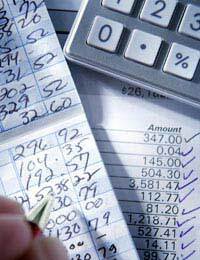 Most accounting packages work on the principle of ‘double entry bookkeeping’. This means that any transaction will be noted in two or more places; one side will be debited, while the other will be credited - hence the term ‘balancing the books’. Retaining a firm grasp on this concept should make the process easier. On a very basic level, your accounts should show money in and what for, alongside money out and the reasons for this expenditure. It is vitally important that you detail the nature of the transactions as well as their value, as this will ensure that you can make claims on any deductible expenses. In order to assist with this, you should keep all of your receipts. Receipt ink has a tendency to fade quickly, so you should mark the date and amount in pen on each one, and file them safely. This is also important because, in the event of a visit from the taxman, you may be required to produce receipts to support your accounts for a period of up to seven years. Another significant benefit of efficient accounting is the ability to clearly understand the cashflow situation of your photography business. Aside from the practical considerations listed above, this means that you should be able to identify areas in which you might be able to improve financially. While small companies may well be able to do their own accounts, it is certainly worth considering hiring an accountant to assist you. Aside from preparing your returns at the end of each tax year, they will also be able to provide individual advice that could mitigate your tax bill; as such, good accountants frequently pay for themselves very quickly.